Samsung Galaxy Beam 2 SM-G3858 is now official in China at unknown price. 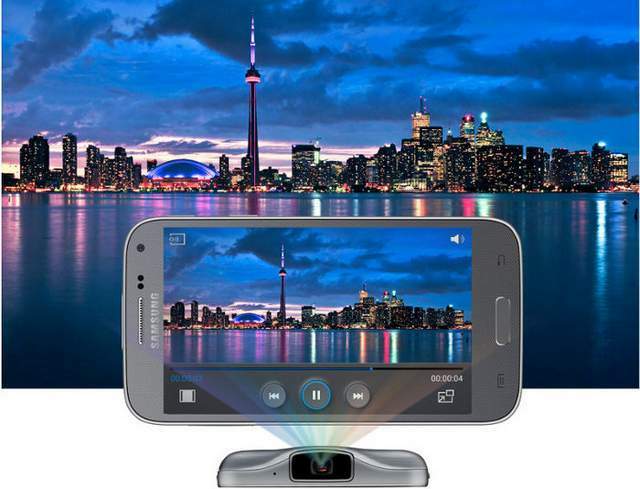 The Samsung Galaxy Beam2 SM G3858 projector comes with top specifications. It has 4.66 inch capacitive display with 480 x 800 pixels resolution. The main attraction the G-3858 is, built in projector which make it unique and apart from other phones. It runs on Android 4.2 Jelly bean OS and gins the strength from 1.2Ghz quad core CPU. So if you are in India, Pakistan, UK , the USA or Singapore then you need to wait for global roll out. The Samsung Beam 2 G3858 comes with a 5-megapixel primary camera and a VGA secondary shooter. It is 11.64 mm thick and weighs 165 grams. It supports micro SD card up to 64GB. It has 3G, Bluetooth, GPS + GLONASS and WiFi connectivity. There is massive 2600 mAh battery to make the phone alive. The Galaxy Beam-2 G-3858 would be available in White and Black colors.